The Marlins represent MSTA in Division One of the Northern Virginia Swimming League. 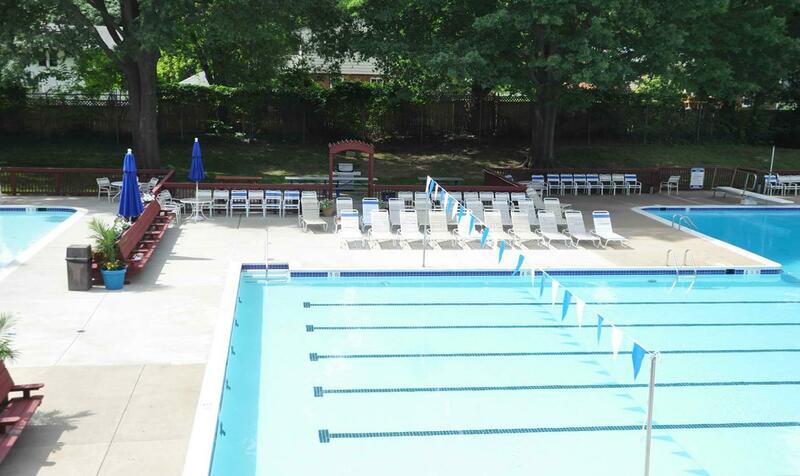 We would love to have your swimmers be part of our team. Experienced swimmer or beginner, this is a team for everyone. The Future Marlins provides group training for children ages 6-10 who can swim 15 meters of the pool unassisted. Children must be evaluated before they can participate. Focus is on proper breathing, stroke technique, and building endurance. Future Marlins can transfer to the competitive team when they can swim the entire length of the pool. You can register for the team under "The Marlins" tab. If you are new to the team, a swimmer should be able to swim freestyle for one full length of the pool unassisted (keeping their face in the water with minimal stopping) and one full length of another stroke to join Marlins. For Future Marlins, a child needs to be able to swim at least 15 yards unassisted. Coaches are available to evaluate new swimmers at the start of the season on the first day of practice, and will recommend the most appropriate placement (either Marlins, Future Marlins, or swim lessons). Note: You must have a membership with McLean Swim and Tennis Association to be eligible to join the Marlins and Future Marlins. Membership information can be found under the Membership Tab of this MSTA website. Volunteering: We need you! You may not realize that it takes over 40 parent volunteers to run a swim meet. Swim team is an opportunity for complete family participation. We promise, your children take notice and love to have you involved. Each family is required to volunteer a minimum of 8 hours with a $100 deposit, with the option to have it refunded at the end of the season or donated towards the coaches end of season gifts, upon completion of the 8 volunteer hours. The fee will be charged during online registration. Please, say YES early and often if asked to help, our team is steadily growing!! Note: Families with Future Marlin swimmers only are not required to pay the volunteer fee or volunteer. Personalized Marlins Silicone Swim Caps You can order caps that are personalized with your swimmer’s last name. Caps will be available to order through the Marlins online store during a limited window of time. Please pay attention to the deadlines for ordering, sorry, no exceptions. Communications All news and announcements will be done via email, the Marlin bulletin board, and your family folder. Family folders can be found in the main office, every Marlin family will have a folder. Meet ribbons are distributed here. Please be sure to have your swimmers check the folders regularly. Swimmer Availability Please check the meet schedule and put the meets on your calendar. This is particularly important for Saturday meets and relay carnivals, which are scored meets. An email survey will be sent out each week to determine your swimmer/s availability for these meets. Please reply promptly, as our coaches will rely on this data to put together the meet sheet of chosen swimmers.